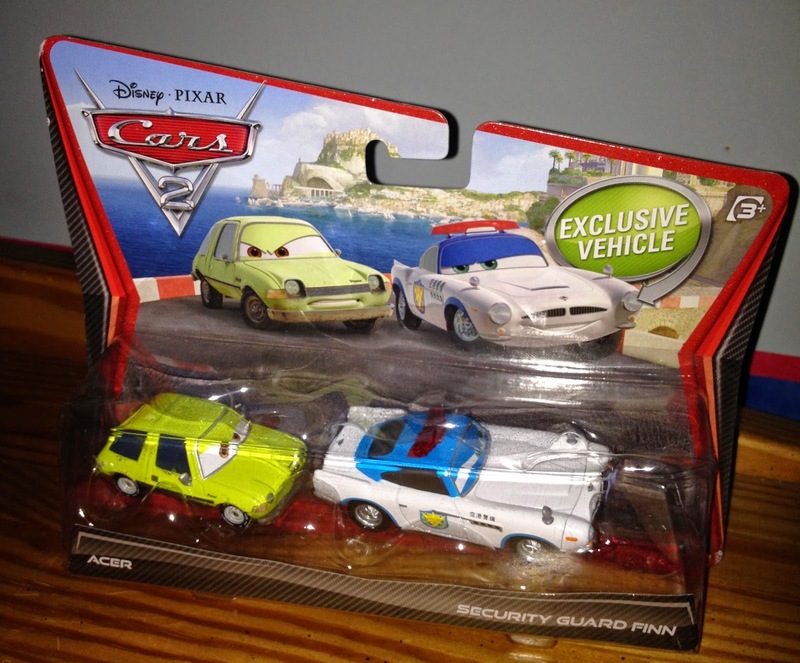 This 2-pack from Mattel was part of the original Cars 2 series and was released back in 2011. It features a standard edition Acer and an"exclusive" Security Guard Finn- both 1:55 scale in size. 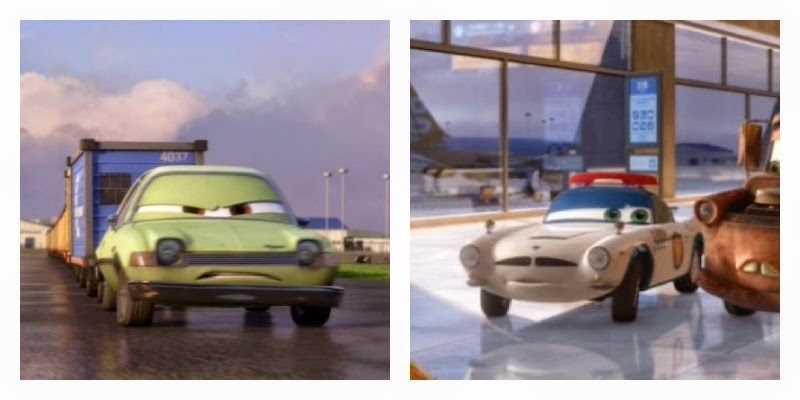 As seen in the screen shot above, both Acer and Finn disguised as a security guard were both seen in the film at the Tokyo international airport. As of last year, Security Guard Finn has also been released as a single pack as well (seen here). Acer of course has had many different releases over the years, both in single and multi-packs.